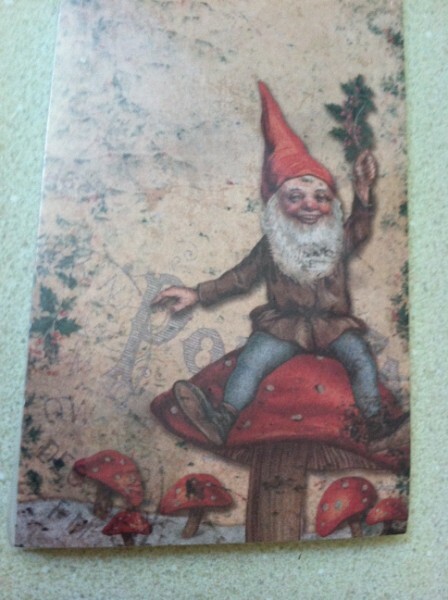 Isn't this a happy elf or gnome on this list notepad? It is 2.75" x 9.50" with a magnet for hanging. What a fun way to list your holiday or gardern plans. A great little treat for a friend too!